The Reno Gazette reports, and John Uhart Commercial Real Estate is excited to hear that Tesla Motors, the world’s leader in lithium ion batteries for cars, has begun work on the interior of its ten million square foot Gigafactory 1. The site for this commercial build is right outside of Reno, NV. It is a $5 billion dollar plant that has begun spending $10 million on an architectural interior and a data center. 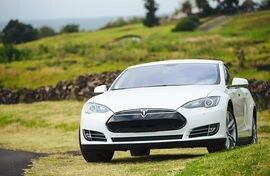 Tesla has been acting as its own contractor for this commercial real estate venture. They have applied for more than 20 permits totaling more than $45 million in the last four months. Their most expensive permit was for mezzanine steel and concrete work at $12.92 million. This pilot plant will only make up a quarter of the overall facility when construction is complete. Tesla has also been given its temporary certificate of occupancy. They plan on producing lithium ion batteries in this commercial real estate plant by February of 2016. This puts them one step closer to their overall goal of producing 500,000 electric cars per year. By the time the plant opens Tesla is looking to employ over 9,000 employees. According to Bloomberg some of these employees have already moved into the area and begun to buy property. This has caused the median home price in Reno to increase by 19%. With this influx of new employees there will be a need to bring more commercial services into the area to accommodate this influx. Especially, around the area of the plant itself where over 3,000 homes have been slated for construction. John Uhart is ready to do their part to help these new businesses that are coming into the area find good homes where they can begin to build a solid foundation to provide for a growing Reno community. It is a good sign of a recovering economy with so many moving to this area. Whether you are looking for a vacant lot to build from the ground up, or you are looking for an existing structure with specific amenities John Uhart Commercial Real Estate can make that happen. If you would like to contact one of our professionals click here. If you would like to see our local listings click here.